Grocery stores, or stores in general, can be overwhelming for kids with autism. They are loud, bright, have lots of people, and stuff is piled everywhere. By the time families reach the cashiers not only are their autism kids overwhelmed, then all the neat new things need to be rung up. Many times kids with autism don’t understand that they will get their desired item back after it is paid for, so melt downs ensue. For this reason today the Utah Autism Coalition is calling on you to be more autism aware. Realize that it is very possible the child who is having a hard time in your line doesn’t have a discipline problem; they are overwhelmed and trying to deal with it. 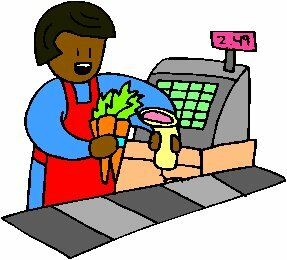 Here is a blog post from Christine Passey at Autism Island about her experiences working towards more autism awareness with cashiers. Thank you for your patience as we buy our groceries, clothes, and other random things.